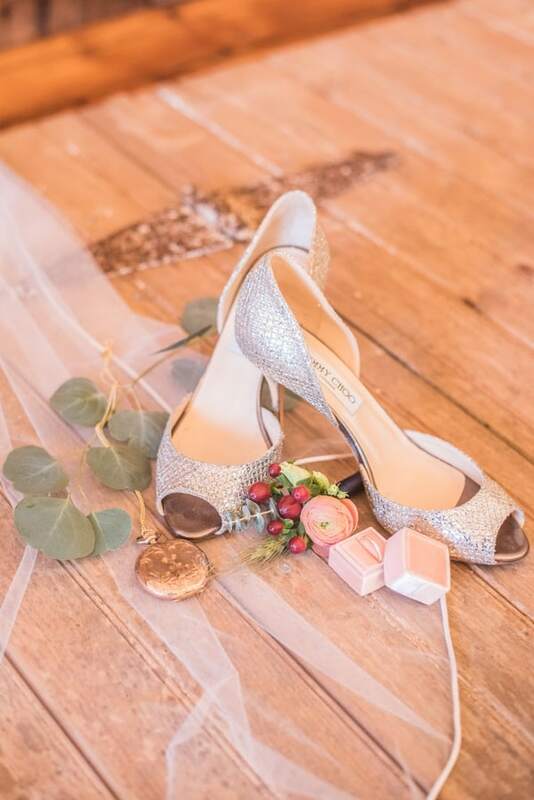 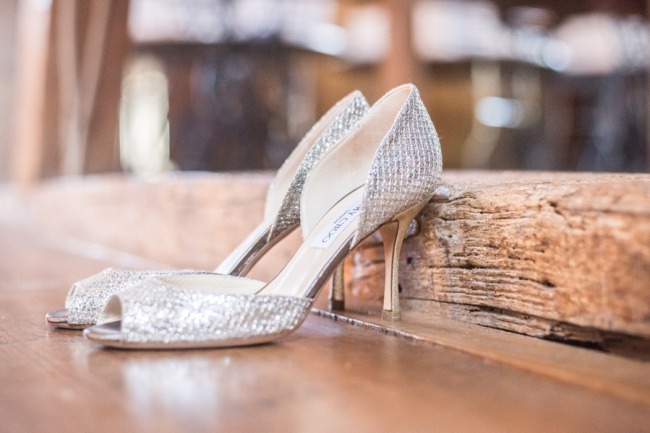 Obviously lots of brides love sparkly Jimmy Choo heels for their wedding day … will you? Photographer’s Comments: “As the autumn season slowly turns into winter, it brings to mind the gently falling leaves, warm jewel tones, and dreamy flowing gowns with longer sleeves. 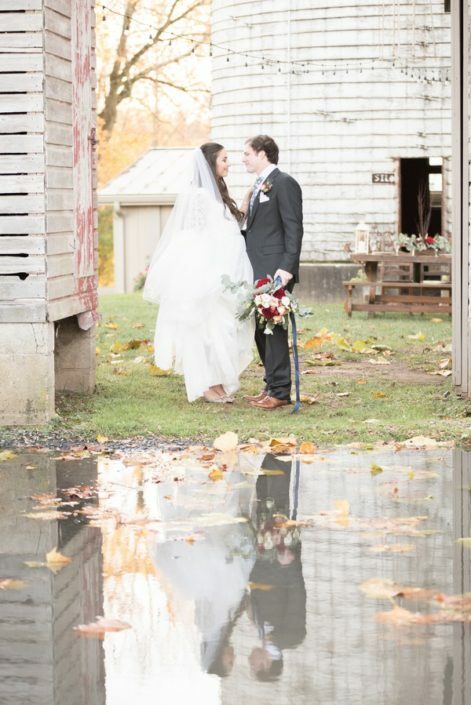 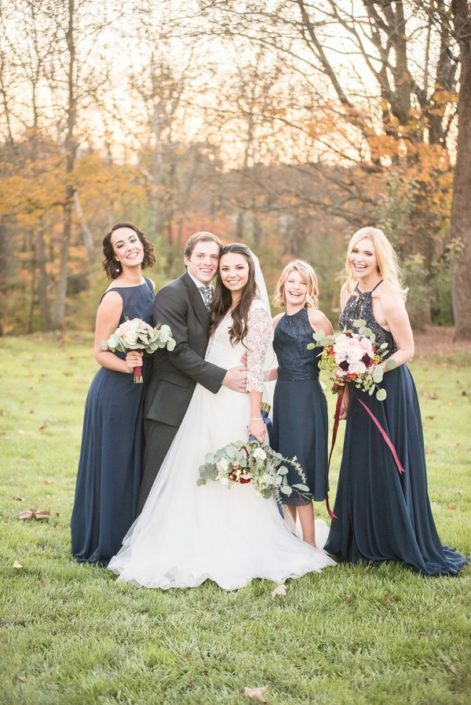 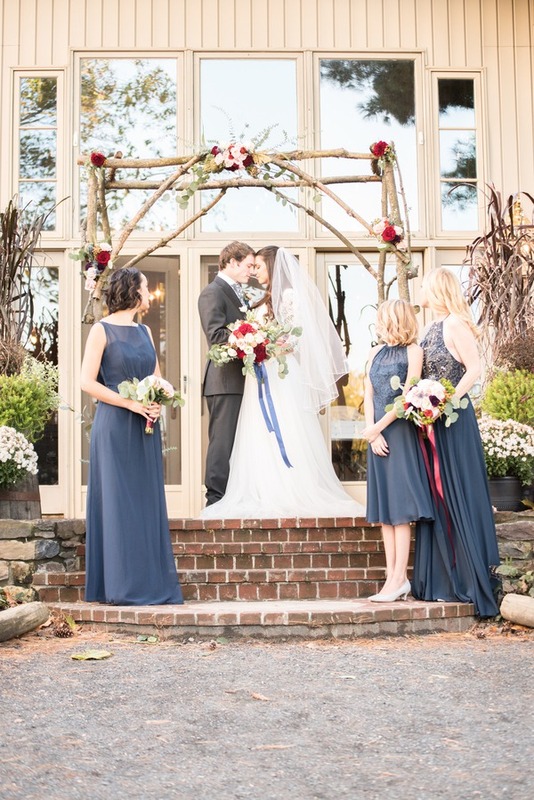 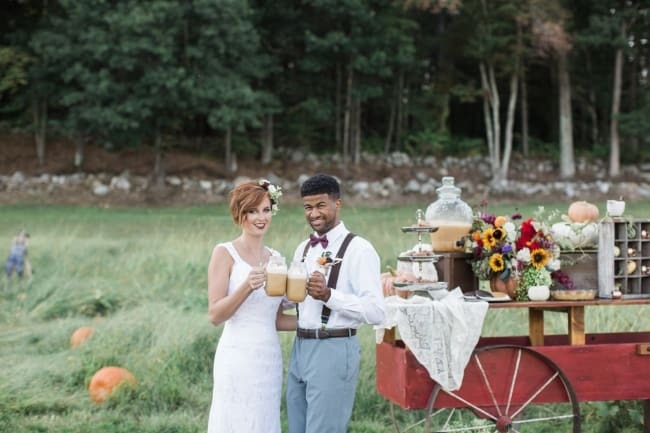 We chose to hold our styled shoot at a gorgeous farm venue tucked away in Bucks County, Pennsylvania. 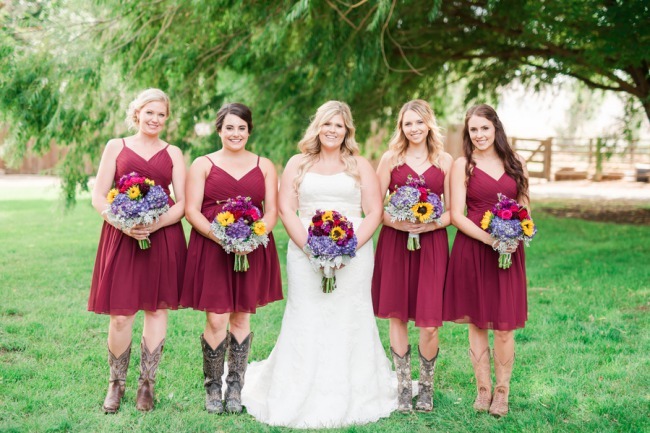 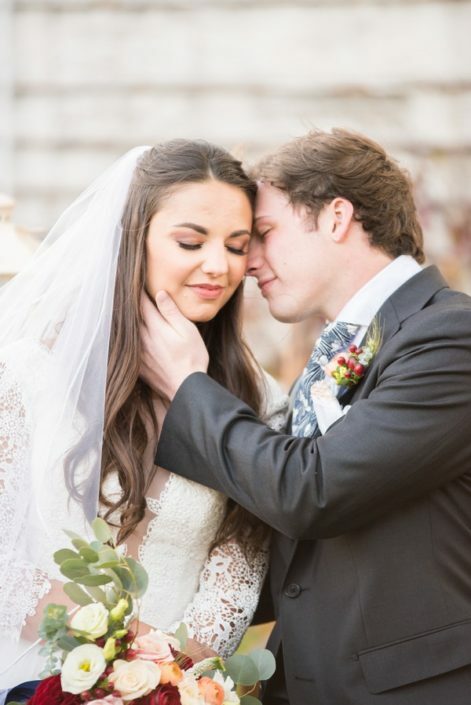 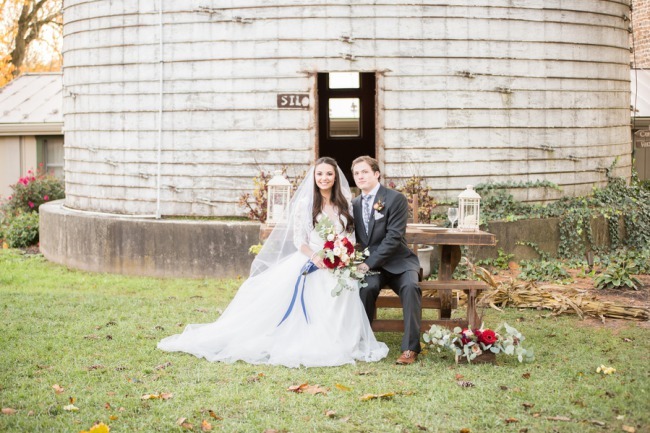 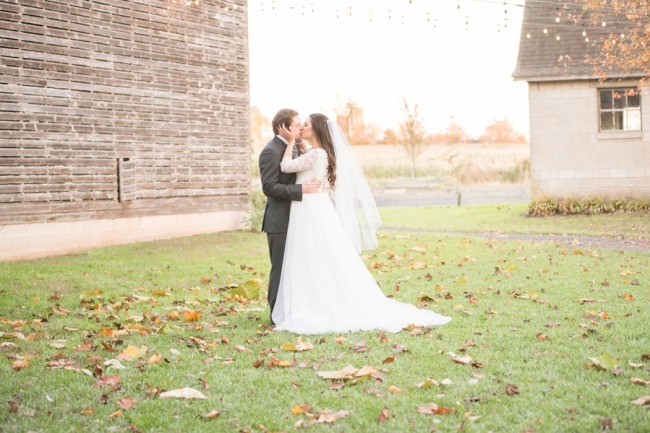 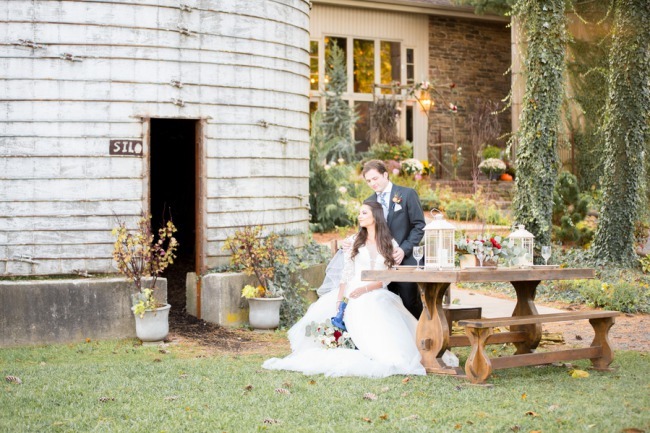 “With towering silos, twinkling bistro lights, and a gorgeously lit barn with chandeliers and rustic woods, the Historic Stonebrook Farm really is a lovely spot for a wedding. 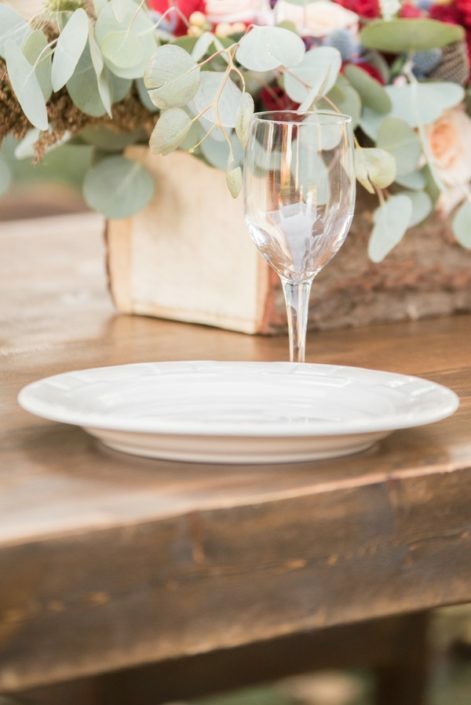 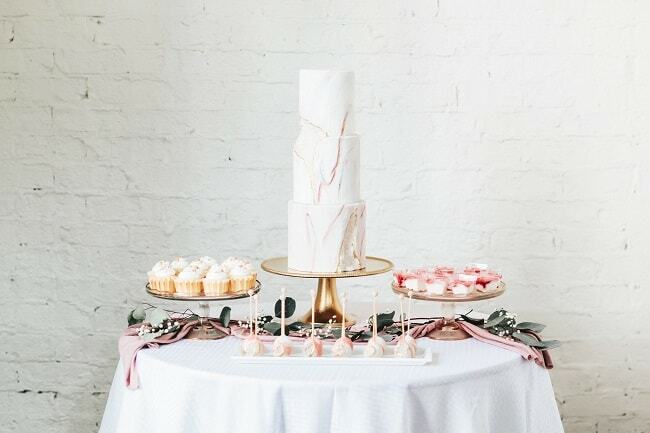 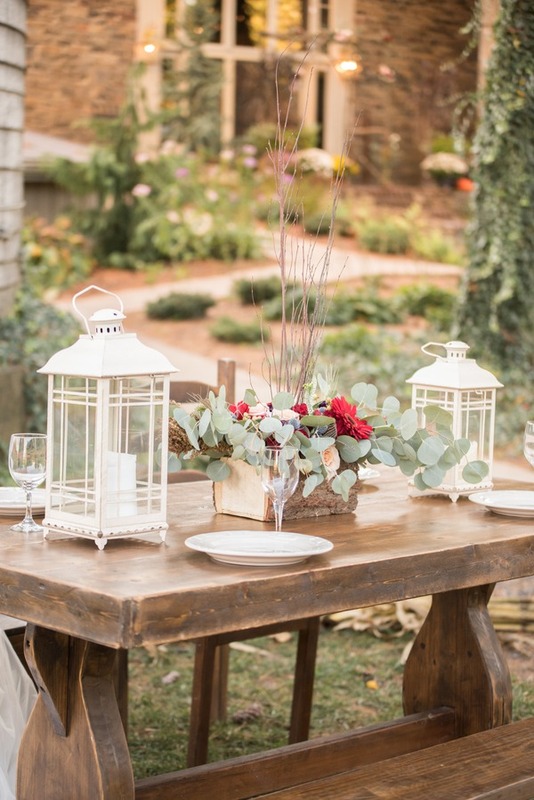 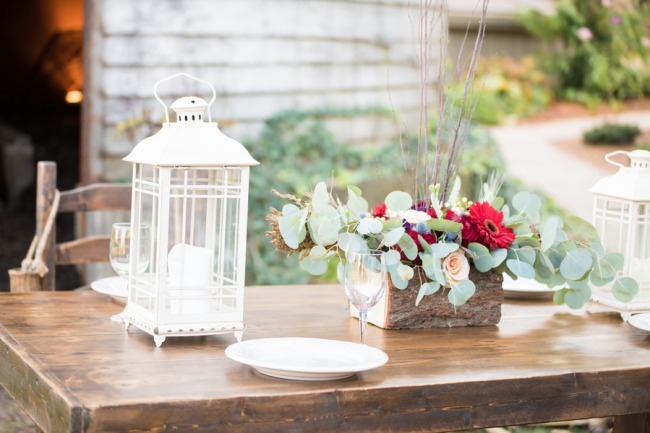 We were able to take advantage of some antique pieces that they already had on the property, including a chest of drawers to place our cake on, and a beautifully done farm table for the reception.